Events	Media	18. 05. 2015.
International law firm Withers has represented world number 1 tennis player Novak Djokovic on the development and launch of the new DJOKOlife range of nutrition products. 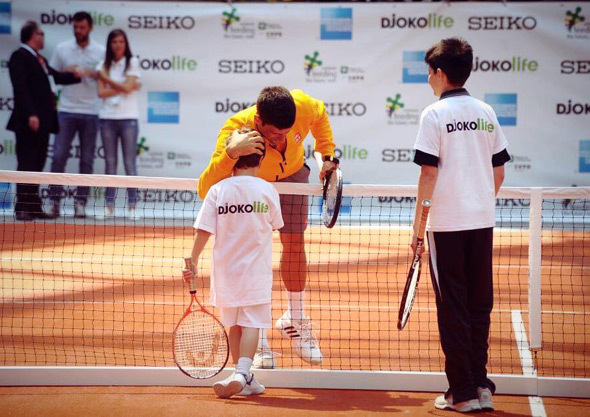 DJOKOlife was launched today at an event attended by Novak, held at the headquarters of the Lombardy Region. DJOKOlife is the unique project launched to share his personal experience of a healthy, high-quality lifestyle. An objective within everyone’s reach, not just by athletes, to be achieved by making the right choices that are good for the body and the mind. The first step in the DJOKOlife project is the healthy, high-quality line of food products supported by the champion and created by a team of nutritionists and experts. A correct diet is one of the main pillars of his training programme. His experiences have led to the awareness – which he wants to share through the DJOKOlife project – that a balanced, correct and functional diet can contribute considerably to improving lifestyles and achieving psychophysical wellbeing. Novak talks about the personal experience that inspired the DJOKOlife project, the day-to-day habits for being in tune with yourself, whatever your commitments and objectives may be. Diet, physical activity and correct habits: these are the keys to a healthy lifestyle that will help everyone to be happier with their body and mind. “During my 10-year career I had the chance to travel a lot and try different kinds of food, bread, snacks, energy and protein bars. Now, at last, I have found the diet that best suits me, that provides the tools for overcoming obstacles – both on and off the court – for finding the correct balance that makes me feel better. 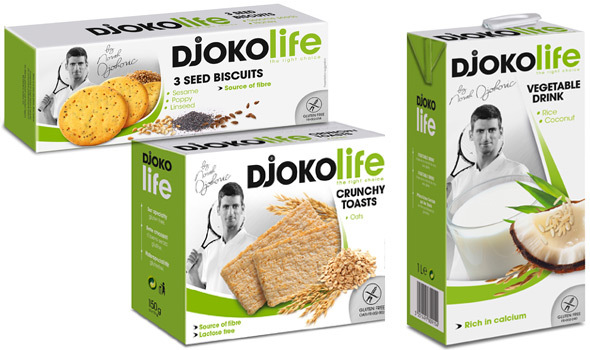 DJOKOlife offers a range of products that reflect my idea for a better lifestyle and diet. They are inspired by my personal experience and contain ingredients that are very carefully selected in accordance with the highest quality standards”, Novak stated. From a nourishing, tasty breakfast, essential for having the right boost all day long, to tasty snacks, the line of products conveys the successful strategy of a great champion and is an invaluable opportunity to share his choices. “Use your instinct and listen to your body before making decisions about your diet. Choose to be healthy and happy. We all know what feeling bad means, but few know the real meaning of wellbeing. If you’d like to share my route I am sure you will benefit from it and discover the food that is right for each of you”, Novak concluded. 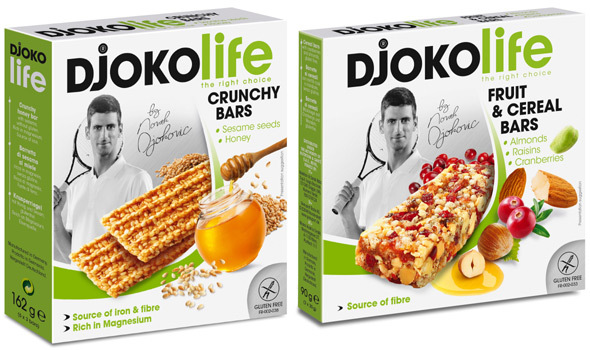 DJOKOlife is the range of food products inspired by the personal experience of Novak Djokovic, an exceptional athlete and tennis champion. This food line is the result of precise scientific research into providing the correct amount of nourishment, avoiding or reducing gluten and at the same time adding precious elements like fibre, magnesium and others with highly nutritional benefits. DJOKOlife aims to prepare and make available to everyone the results of Novak Djokovic’s constant attention to a balanced, healthy and functional diet.